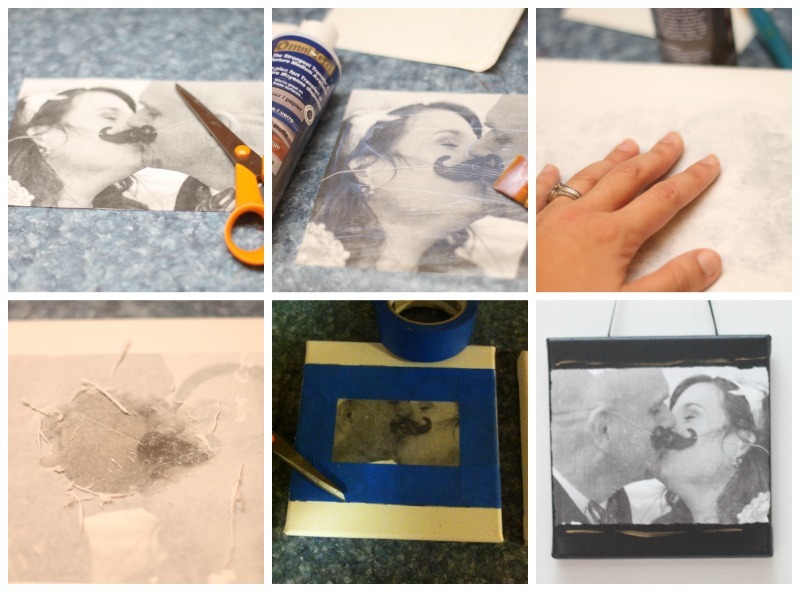 I am thrilled to be here sharing another great photo transfer project with you today: DIY Canvas Wedding Photo. This is a gift I recently made for a couple of dear friends of ours, and I’m really happy how it turned out. 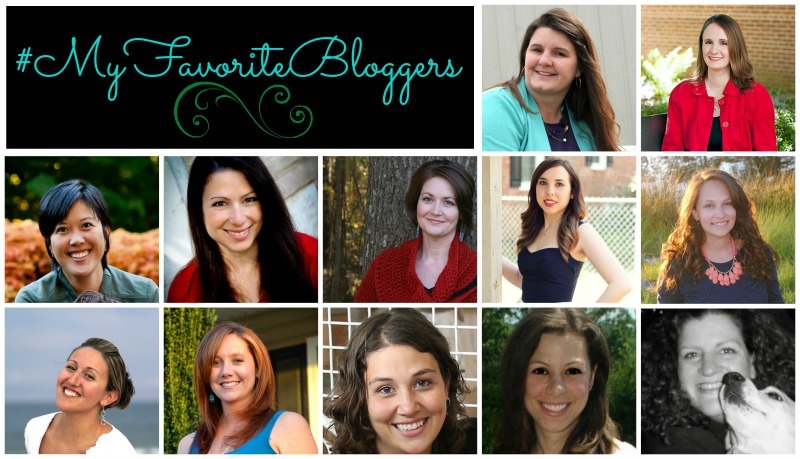 But, first, I need to tell you that this post is part of this month’s installment of #MyFavoriteBloggers! That’s right. It has been a month already and I am once again getting together with a few of my favorite blogger ladies to craft and create on the same topic. This month’s theme is DIY Gifts for $20 or less. I hope you find lots of inspiration both here, and on the other blogs. First of all, a note about the picture. This is a photo transfer and will only work if you use a PHOTOCOPIED picture of the original. You can also print the pictures on an industrial printer onto regular paper. The important things are only that the picture is on regular paper and that it is printed with a laser jet printer. Paint a generous coat of transfer gel directly onto the picture. Make sure to get every part of the picture. Place the photo face down onto the canvas. I since my photo would not over the entire canvas, I measured to make sure it would be centered. Allow to dry completely. Then, use a damp rag to soak through the paper. When soaked begin to rub the paper off…and keep rubbing. The paper will come off and the image will be left on the canvas. This step does take some work and some patience. I usually end up using an old tooth brush to remove the final filmy bits of paper. Once all of the paper is removed, use painter’s tape to mark off the area that will be painted black. Paint the edges and sides with black acrylic paint. Once dry, add some gold high lights. Once that is dry give the entire thing a coat of Mod Podge. Finally, use hot glue to attach a ribbon to the back. Annnnd, there you have it! 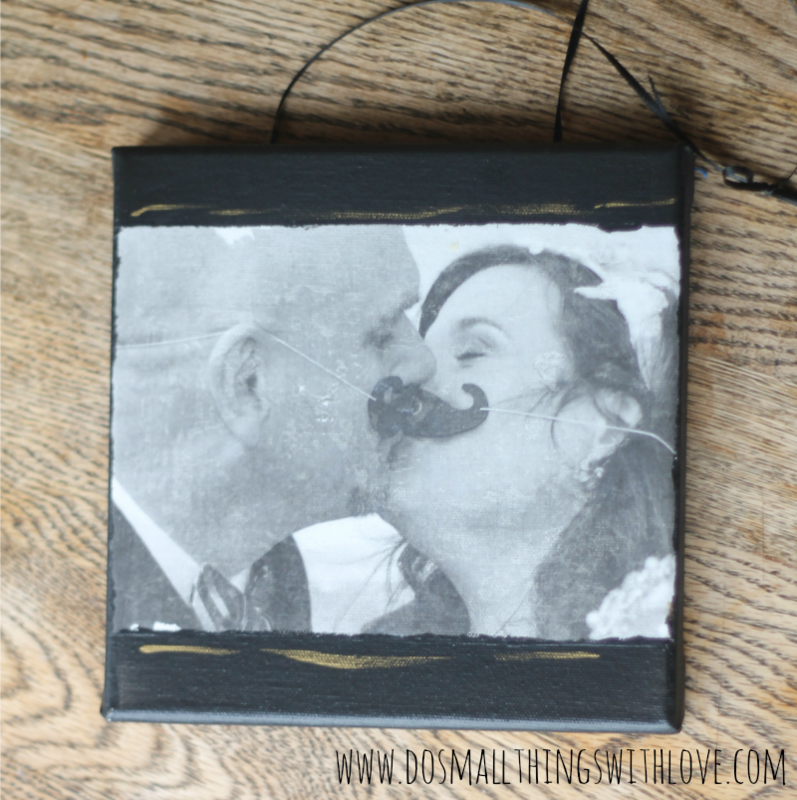 I love the classic look that photo transfer has–a really cool look to give to wedding photos. 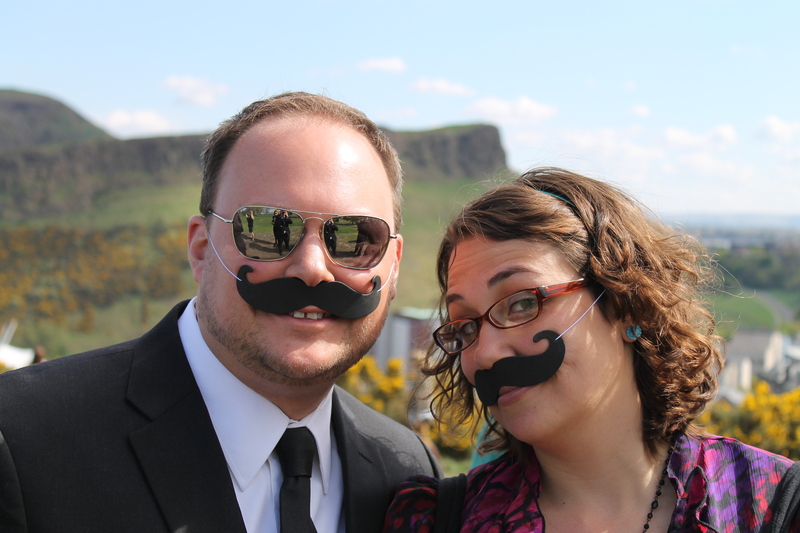 Like I said, this photo is of 2 good friends of ours that got married in Scotland this Spring. We had the joy of attending, and, like the bride and groom, got in on the mustache theme! I also had fun transferring my own wedding photos, and a wedding photo of my parents. I just love how creative you can get with photo transfer! Okay, enough from me! 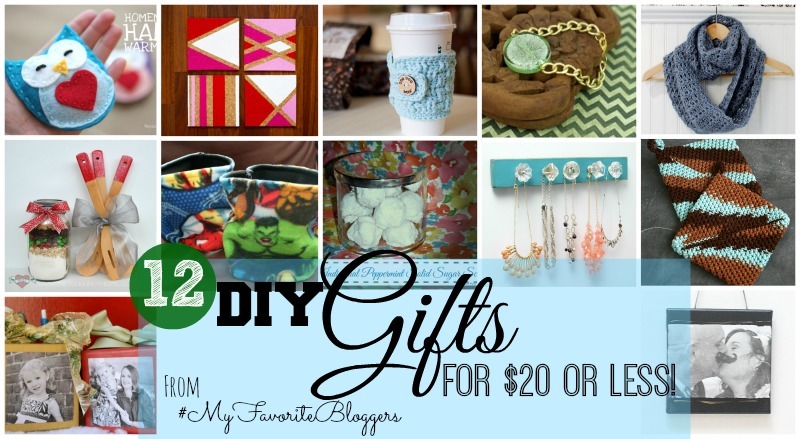 Like I mentioned, 12 of #MyFavoriteBloggers also got in on the fun and whipped up DIY gifts for $20 or less. They have some GREAT ideas, and they each have blogs I love. Check them out! And, here are the creative gifts they came up with! I love you find some great inspiration here–and that you have a wonderful day! Super cute!! I love making gifts with pictures! 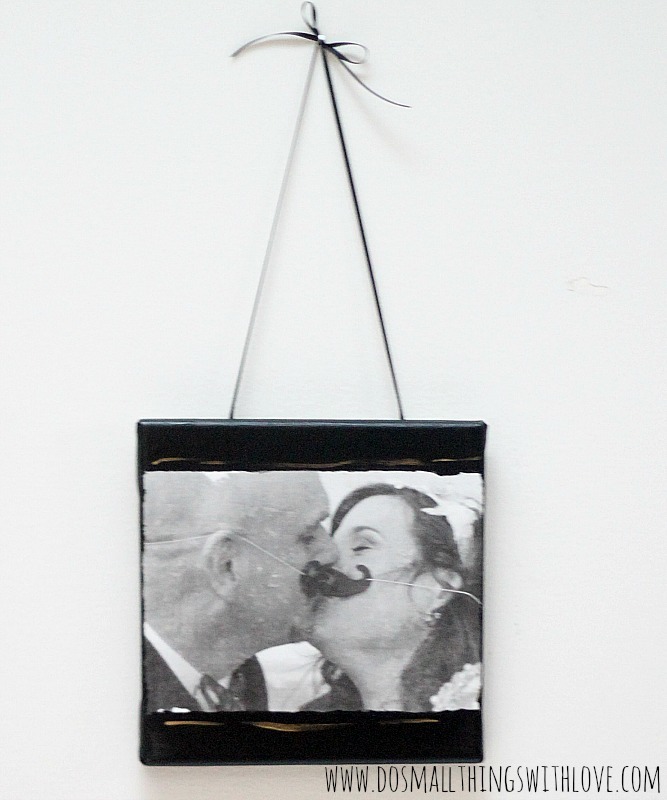 What a fun wedding theme: mustaches! I love it! And I’ve always been curious about the whole paper to canvas/wood transfer process. You explain it so clearly, I might just give it a go! Thanks again for coordinating our monthly post! You’re an angel. Such a cute and thoughtful gift! What a great idea! And I love the mustaches and how they attach with elastic, too cute! It was an awesome trip, Sky–and we even went without the kids!